The Gym Las Vegas is all about real results. We welcome student-athletes and adults of all ages who are ready to see real change through our programs. We’re serious about seeing positive changes in your fitness and health. The Gym Las Vegas will offer you a custom training program that meets you where you are at based on an assessment that we start our clients off with, called a Functional Movement Screen. The importance of this assessment is to help us learn about your fitness level, range of motion capabilities and limitations, and what may be causing aches and pains throughout the day. Every body is different and, based on our assessment, we can adequately address your body’s needs to reduce risk of injury. The Gym sees where your body is at before starting you on one of our effective programs. Our detailed and personalized approach is part of what makes us the best gym in Las Vegas. Putting you into a healthy, structured, and safe environment is vital as we build you towards your fitness goals with our unique and effective training programs. We don’t give you weird fad diets and a boring gym that doesn’t work you towards your goals, we offer real results with our custom training programs. 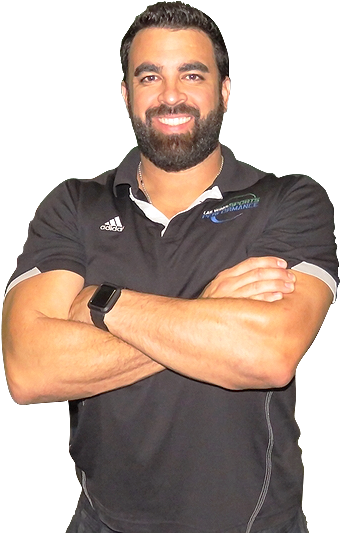 The Gym Las Vegas is owned and operated by Certified Level 1 USA Weightlifting Sports Performance Coach and Certified Functional Movement Specialist, Rob Martinez. The Gym’s commitment to safer fitness and a reduced risk of injury has been proven to provide real results. Our custom training programs will successfully meet you where you are at and build you into a whole new fitness level and healthier life. Contact us today to get started with your practical and result filled plan and let us help you achieve your goals! The Gym Las Vegas provides you with an assessment to determine your fitness level, range of motion capabilities and limitations, and see how your body works so we can create a custom plan for you. The Gym Las Vegas is the best gym in the Las Vegas area for student-athletes and adults serious about finding fitness success. The Gym Las Vegas strives to bring every one of our clients to a whole new fitness level, packed with real and practical training programs that bring change. The Gym Las Vegas works, and we have the results from our clients to prove it! Contact us today to get started with your assessment and a plan to truly reach your goals. Our dedicated and passionate personal fitness trainers have had the pleasure of producing amazing results for our clients. The Gym Las Vegas will help guide you into a life filled with real improvements in fitness. The Gym Las Vegas wants you to reach your fitness goals, and we exist to help make this happen. We are the best gym in Las Vegas and we provide proven training programs with the most dedicated team of personal trainers around. Get started today!